I haven’t read this book, but it’s on my list. 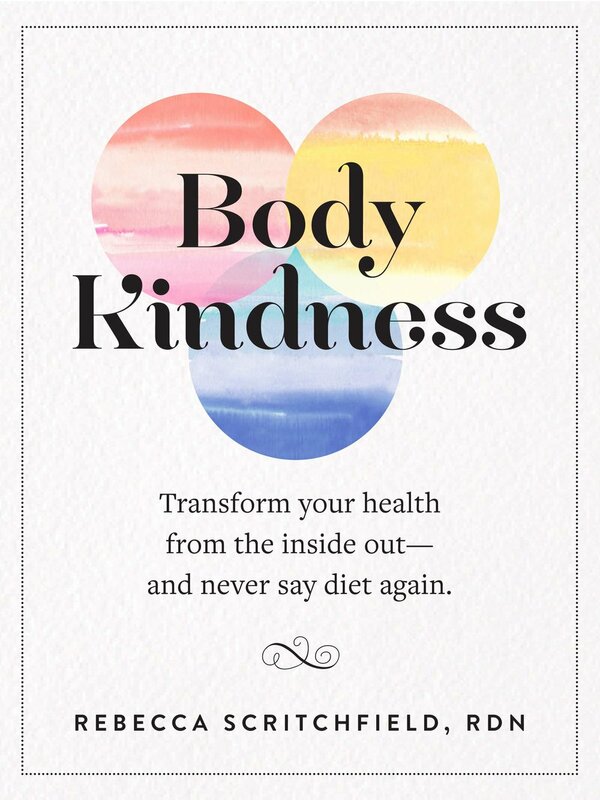 Written by a fellow dietitian, Rebecca Scritchfield, Body Kindness is backed by science but provides practical tips to help you ditch the dieting mentality and improve your physical and mental health for the long-term. Reusable straws are a great way to reduce your plastic use, plus they’re cute! I’ve been using mine for years and love drinking my smoothies and iced coffee with them. You can easily clean them with a straw cleaner and then run them in the dishwasher. I found these rose gold ones and now I clearly need another set. If you don’t have these already, gift them to yourself. These babies will make meal prep sooo much easier. You can cut veggies, leafy greens, and even raw chicken. They can be easily cleaned in the dishwasher and they don’t take up much space. Want to learn how to get in touch with your hunger and satiety signals, what to do about cravings, and how to ditch diets for good? 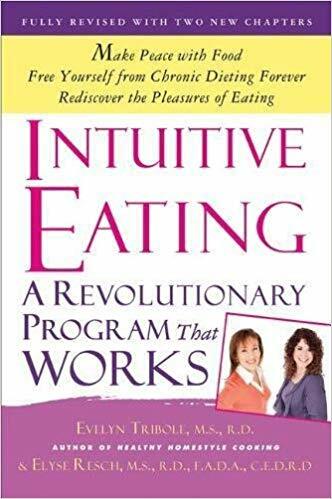 Enter: Intuitive Eating. This book has been around for a while (if you can’t tell by the cover! ), but the workbook was recently released and is a helpful tool for working through the 10 principles of Intuitive Eating. It’s easy to use fresh spices and herbs when you have a zester. Not to mention you can actually zest a lemon or orange if a recipe calls for it. We use it mostly for ginger. Simply cut off the end of a piece of ginger and grate it along the top of the zester. You don’t have to peel the ginger - yes, please! Try this in ginger molasses cookies and you’ll up level your baking game. Mason jars make meal planning super easy. I’m not talking about making those mason jar salads. Nope. After you make a dish like a stir fry, pasta, or chili for dinner, spoon the leftovers into mason jars and put them in your fridge. Voila! Now you’ve got lunch for tomorrow. Because they’re glass, you can microwave them. They’re also good for making overnight oats. I’ve been meaning to get these Stasher Bags and keep forgetting. They are made from 100% pure platinum grade silicone so no plastic and no BPA - better for the environment and your health. Save money and the environment with these bags that can also be cleaned in the dishwasher. There’s nothing super special about these lunch boxes, other than that I think the little sayings are adorable. I’ve had mine for 2 years, and I’m probably due for a new one. I’m a big fan of the size. 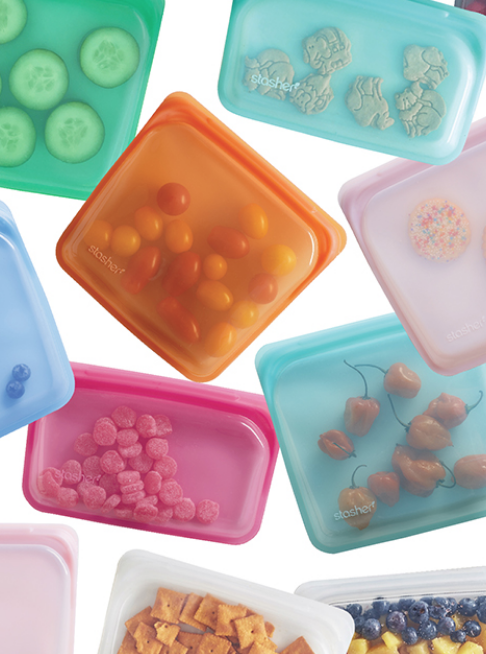 They fit a lot inside, unlike many of the bento boxes I’ve seen. 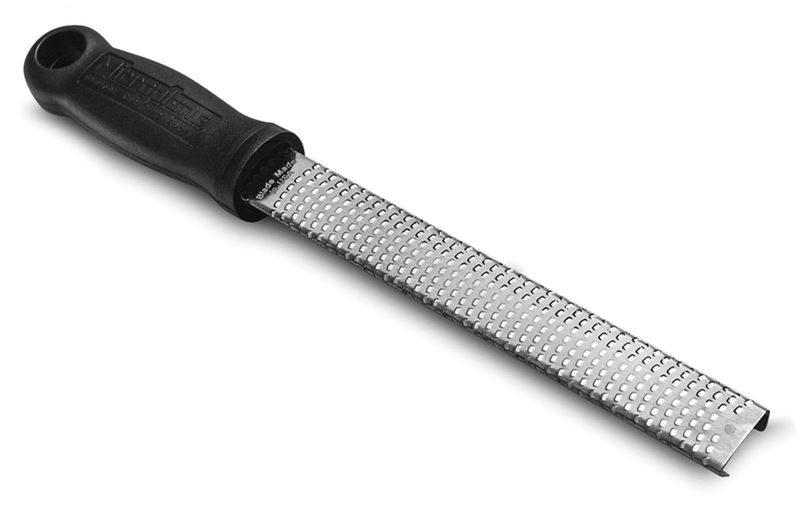 You will never squeeze a lemon or lime by hand again after using one of these. Not going to lie, we mostly use it for making cocktails. But boy does it speed up the process! It’s great for adding citrus to marinades and salad dressings too. Can I just have everything in Anthropologie’s Kitchen & Dining Collection? I can’t pick just one thing. They have gorgeous gift items for foodies - from plates to utensils to platters to mugs. They also have the best oven mitts. I’ve had the same ones since I got married 8 years ago. I’m actually due for new ones because they are prettyyy dirty (hint hint family ;)). I picked up an oven mitt from Target recently and about burned my hand using it to get something out of the oven. Anyways, browse this collection & you’re sure to find a good gift item. That’s a wrap! Do you own anything on this list? 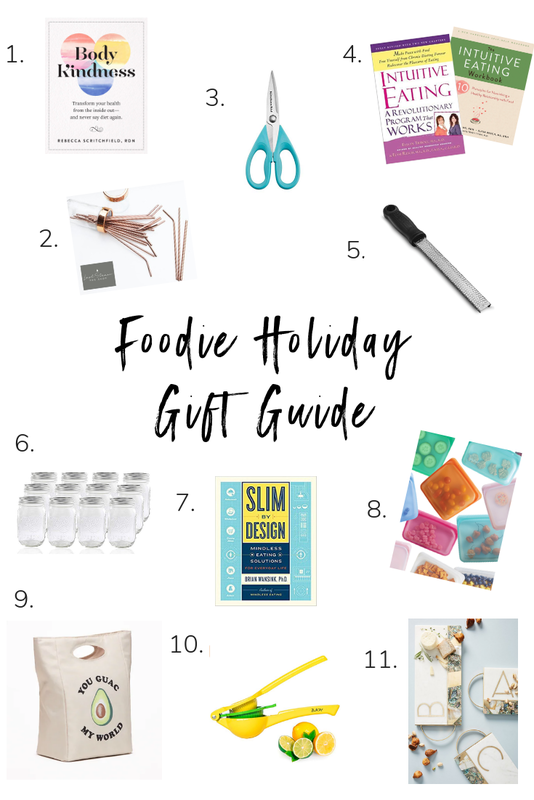 What would you add to a gift guide for foodies? Let me know below!